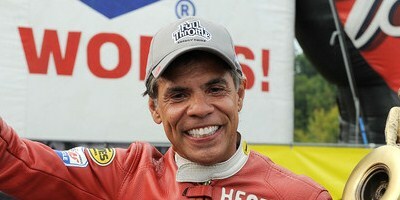 Lucas Oil Buell rider Hector Arana Sr. had a dilemma after the Mopar Mile-High Nationals in Denver. Does he take the engine he used with great success at Bandimere Speedway to this weekend’s 24th annual FRAM-Autolite NHRA Nationals at Infineon Raceway? Or does he go another direction? The altitude and atmospheric conditions in Denver mandate a different engine combination for the Pro Stock Motorcycle class than the one used in Sonoma. But Arana Sr. qualified No. 1 and advanced to the semifinals in the mile-high climes. So what does he do? Arana Sr. eventually decided to stick with the motor he used in Denver, named “Charlotte” after the track where he once set a national record. Arana Sr.’s No. 1 qualifier in Denver was his second of the year but first since the first race of the season. The 2009 class champion finally solved some nagging electrical problems in Denver, and he carries speed into Sonoma. “I feel confident,” Arana Sr. said. “Going to Sonoma, it’s less of a worry now. We’ll try to regroup for over there and come up with a tune-up.